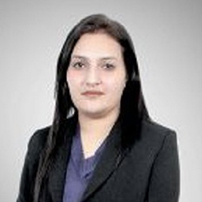 Ms. Khatana a seasoned Human Resources and legal professional. She carries over 18 years of extensive experience in steering matters across Employment Law, Corporate Law, Criminal Law, Regulatory Compliance, Mergers and Acquisitions, strategic alliances and joint ventures for many Multinational corporations across countries like India, China, Hong Kong, Japan, Australia, Philippines, Korea and Singapore. Ms Kanchan Khatana is founder of one of India’s finest full-service law firm, Kanchan Khatana and Associates. Her Law firm is known for its in-depth research skills and strategic advice, coupled with prompt and effective turnaround. The mission of the firm is to make legal services efficient, effective, affordable and hassle free. Ms Khatana is Vice Chair for Women Empowerment and Studies section of Indian National Bar Association. She is a well-known Social Activist and has been working extensively in the field of Human rights, Prevention of Sexual Harassment at workplace, Women and Child Rights and welfare and various other victims of discrimination and injustice. She is on Advisory board of many NGO’s and industry Association. Ms Khatana has led India’s largest survey for Indian National Bar Association on the topic of THE SEXUAL HARASSMENT OF WOMEN AT WORKPLACE (PREVENTION, PROHIBITION AND REDRESSAL). She further has delivered many awareness sessions across private and public-sector institutions, schools and colleges to create awareness on THE SEXUAL HARASSMENT OF WOMEN AT WORKPLACE (PREVENTION, PROHIBITION AND REDRESSAL) ACT, 2013. Thereby ensuring each and everyone is working to make our workplaces “Free from Sexual Harassment”. Her Law firm provides Pro Bono Legal Services to victims of sexual harassment / assault, poor / underprivileged, Serving and Ex defence personnel. Ms Khatana’s Law firm as part of its CSR activities works with many NGO’s on improving the nutritional status of children in Government and Government aided schools, and EGS and AIE centres. Encouraging needy children, belonging to disadvantaged sections, to attend school more regularly and help them concentrate on classroom activities. Providing nutritional support to children of primary stage in drought affected area. Enriched by education from leading Law and Management institute, Ms. Khatana has played a vital role in transforming many organizations into one of the nation’s fastest growing companies. Ms Khatana has received the prestigious FEMME Award 2018 for “Excellence in Social Work”. Ms Khatana has also been awarded “Top Pro-Bono Lawyer” award in Legal Desire Summit 2018.